New Year’s resolutions frequently include diet, weight loss, eating more health-promoting fruits and vegetables or reducing fat. A laundry list of to-dos can, however, erode even the most positive resolve, said Sandy Proctor, Kansas State University Research and Extension nutrition specialist, who encourages incorporating change gradually to build on good intentions. To trim calories and fat, Procter suggests you take stock by asking yourself: How has my weight changed in the last year? The last five years? And why? 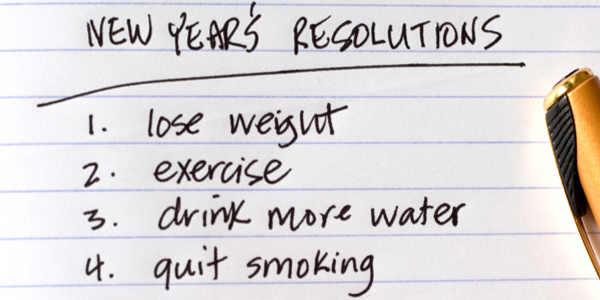 You won’t succeed at haphazardly created resolutions – they need to be well thought out. You are what you eat so uncover the ingredients and make better choices. Consume food – don’t let it consume you. Focus on the other aspects of eating – the company you are with, plate presentation, your surroundings. Variety is the spice of life and a good diet – vary your plate with lots of healthy foods to ensure you are getting all the nutrients you need. Get your zzzz’s but don’t overdo it. The key to happy sleep is a consistent amount of sleep. the US Department of Agriculture’s Expanded Food and Nutrition Education Program (EFNEP). tendency to overeat later in the day. Read food labels to learn about ingredients in foods you choose. Measure portions to become more familiar with standard, recommended serving sizes. Bring family or friends together for meals, and focus on people, rather than food. Can’t do dinner? Try breakfast together on weekdays or a more leisurely brunch on weekends. Wash hands frequently, such as before and after food preparation or storage and before and after eating, to reduce risks of colds and flu. Drink plenty of water to stay hydrated and maintain body function. Remember also that water can serve as a healthy substitute for other beverages that add unnecessary calories. Strive to maintain a consistent sleep schedule. Too much — or too little — sleep can upset the body´s rhythm. Resolve to eat a variety of foods that are key to managing weight and health.